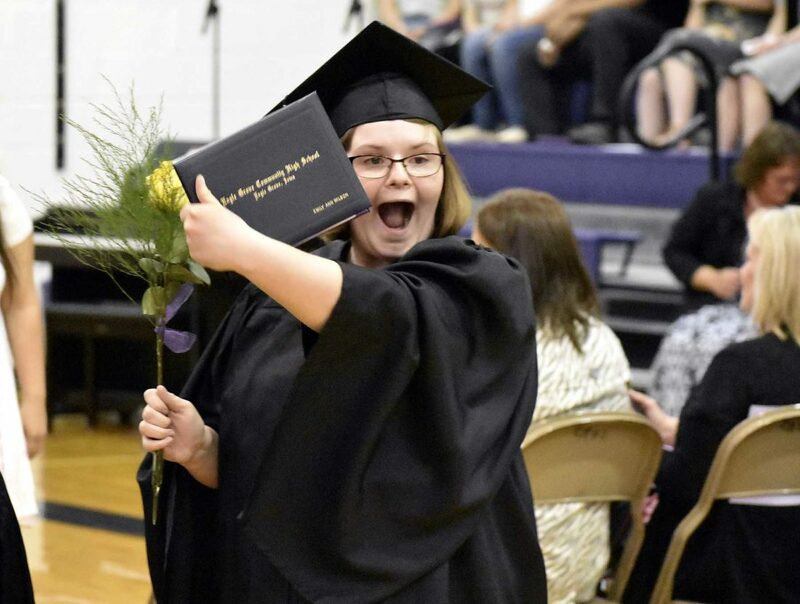 Emily Wilson, 18, shows off her high school diploma at Robert Blue Middle School Sunday afternoon. 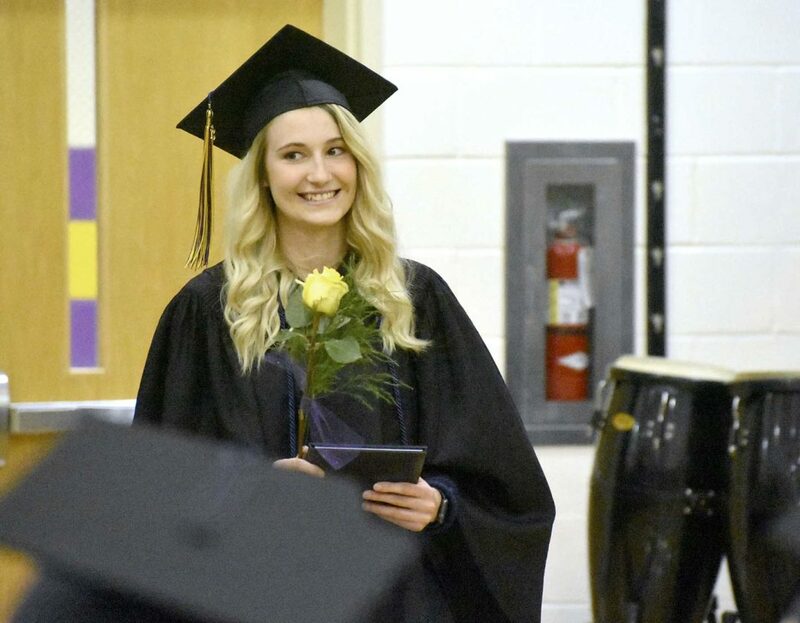 -Messenger photo by Chad Thompson Lexy Beck, 18, holds her diploma during commencement at Robert Blue Middle School Sunday afternoon. 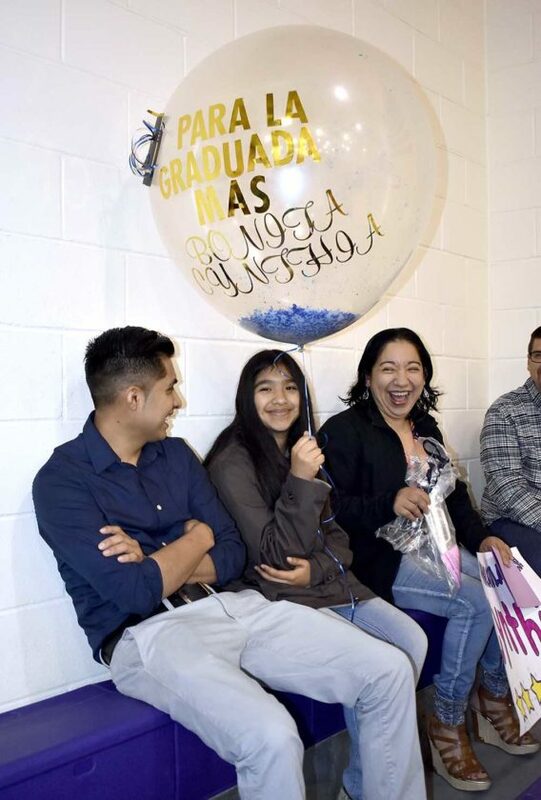 -Messenger photo by Chad Thompson Ashley Deleon, 11, of Eagle Grove, holds a balloon congratulating her sister Cynthia Deleon on her graduation Sunday afternoon during the commencement at Robert Blue Middle School. At left is Alfonso Nestor. To Deleon’s right is mother Linda Andrade. -Messenger photo by Chad Thompson John Mosley, 17, an Eagle Grove High School graduate, checks his phone prior to commencement Sunday afternoon at Robert Blue Middle School. -Messenger photo by Chad Thompson Three Eagle Grove High school students practice tossing their caps prior to commencement at Robert Blue Middle School Sunday afternoon. Pictured left to right: Niko Padilla, 18, Hallie Jeske, 18, and Colton Poncin, 18. -Messenger photo by Chad Thompson Niko Padilla’s graduation cap is shown here. 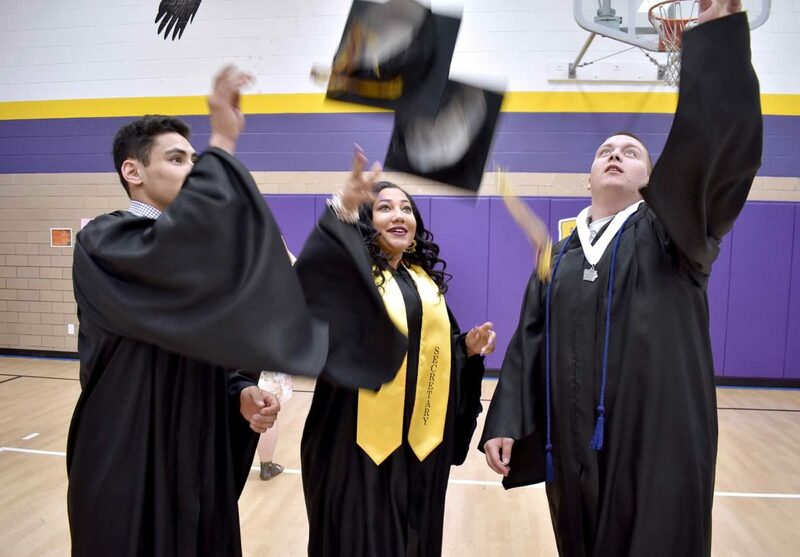 Padilla, 17, was one of 49 Eagle Grove High School graduates to receive their diplomas Sunday afternoon at Robert Blue Middle School. 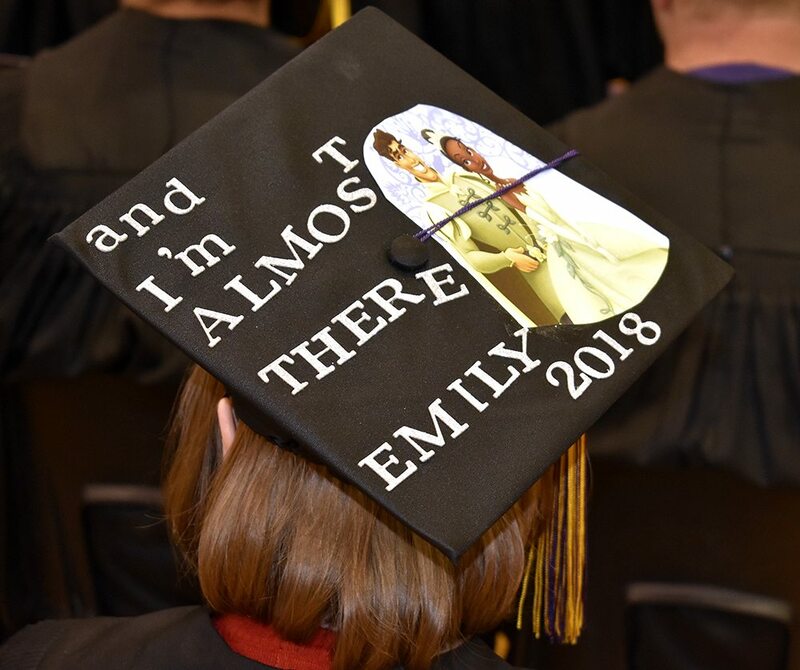 -Messenger photo by Chad Thompson Emily Wilson’s graduation cap is shown here. 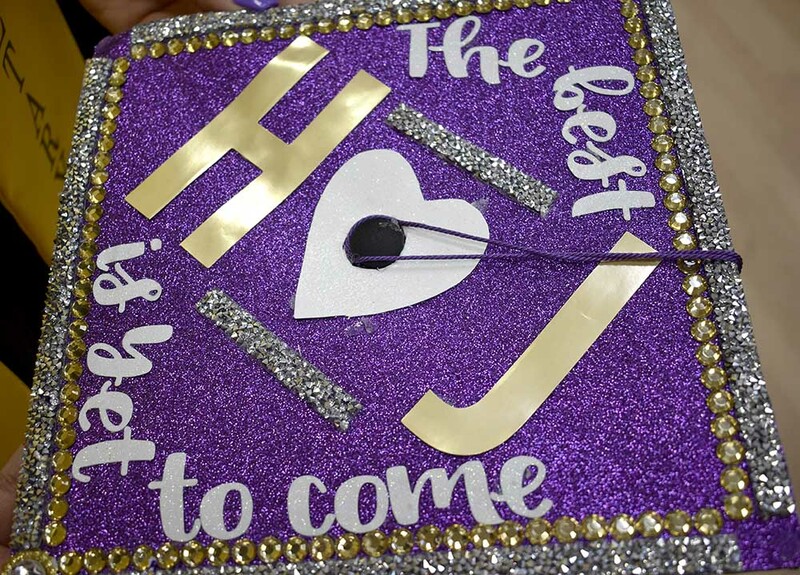 Wilson, 18, graduated from Eagle Grove High School Sunday afternoon. -Messenger photo by Chad Thompson Wendy Fisher, of Eagle Grove, poses for a picture with her son, Caleb Goodhue, 18, Sunday afternoon at Robert Blue Middle School. 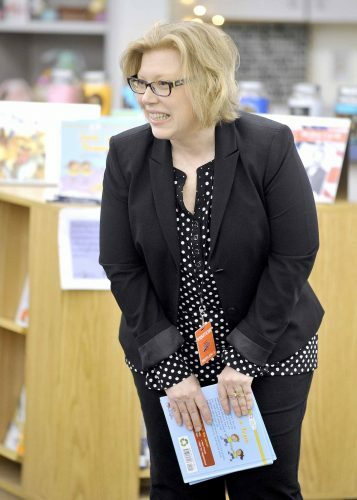 Goodhue was one of 49 Eagle Grove graduates. 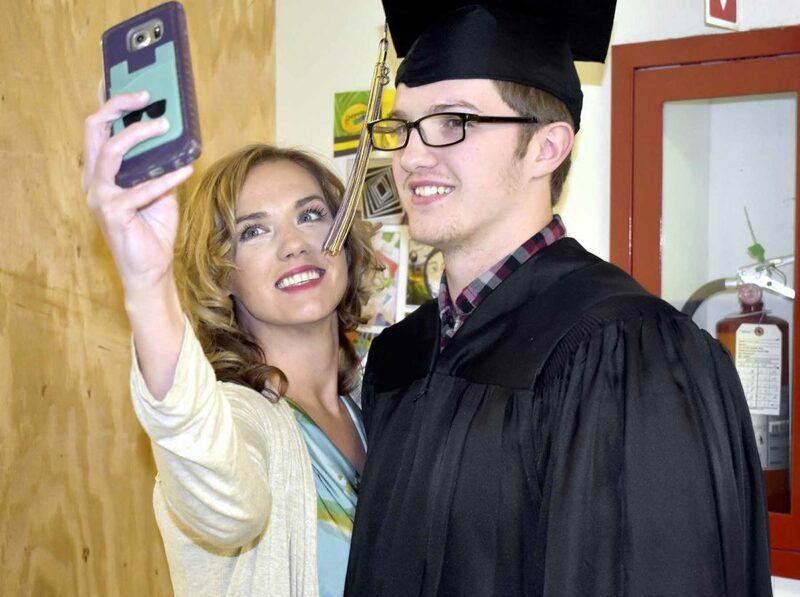 EAGLE GROVE — Brayden Lyman, Eagle Grove Community High School valedictorian, thanked his classmates and asked them to remember where they came from during his speech at Robert Blue Middle School Sunday afternoon. Lyman was one of 49 graduates to accept their high school diplomas. Lyman said he was happy to be part of the school’s baseball team. “We had a baseball team with a winning record for the first time in many years,” he said. Lyman plans to attend Iowa Central Community College and transfer to a university to pursue a degree in biology. He appreciates the memories of high school. 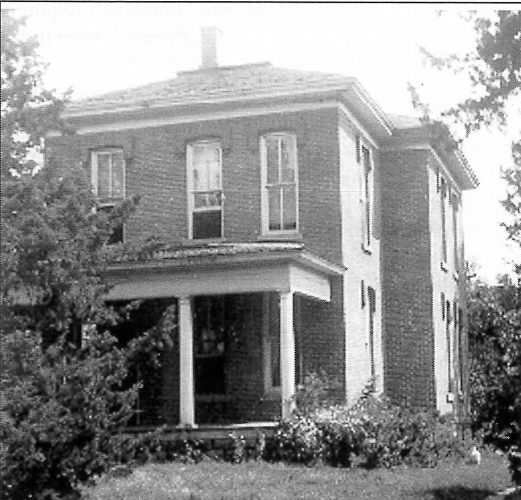 Lyman’s brother, Saxon Lyman, was the class salutatorian. Saxon Lyman plans to attend Iowa Central Community College and transfer to Iowa State University in Ames to major in civil engineering. In his speech, Saxon Lyman said he tries to focus on the happy, funny moments he shared with his classmates. He reminisced about some of the school’s accomplishments in sports. “In baseball, we upset Forest City in extra innings in the first round of districts,” he said. 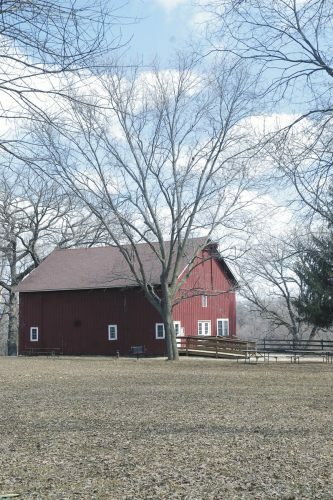 In football, his favorite accomplishment was beating Clarion-Goldfield-Dows as a senior. Jeff Siebersma, high school principal, congratulated the graduates. 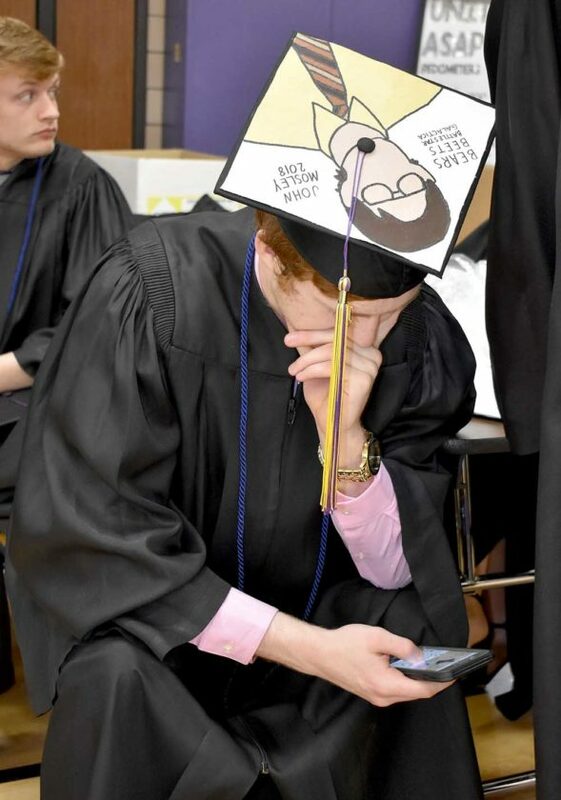 He offered his advice to the graduates. The top 10 academic achievers of the class were recognized. They are: Ravyn Armstead, Austin Hill, Brayden Lyman, Saxon Lyman, Cody Mickelson, Benjamin Nessa, Jacob Nett, Isaiah Newkirk, Ryan Smith, and Kearra Steil.